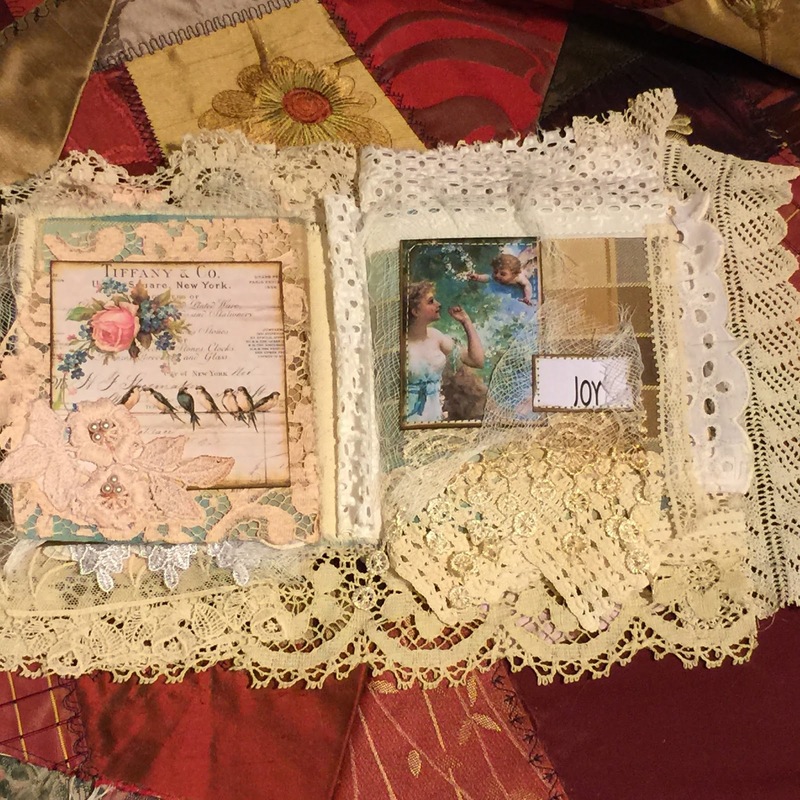 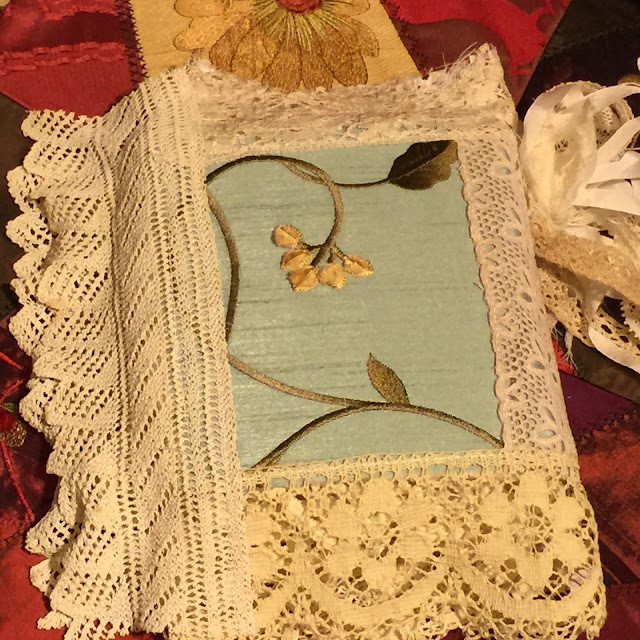 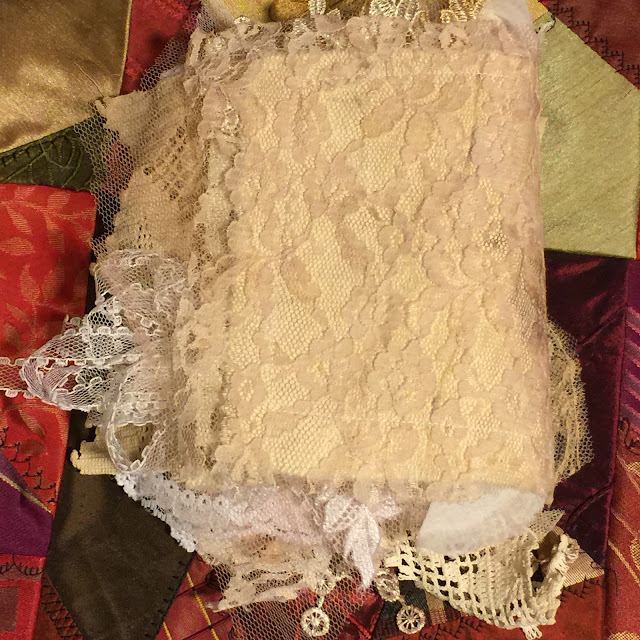 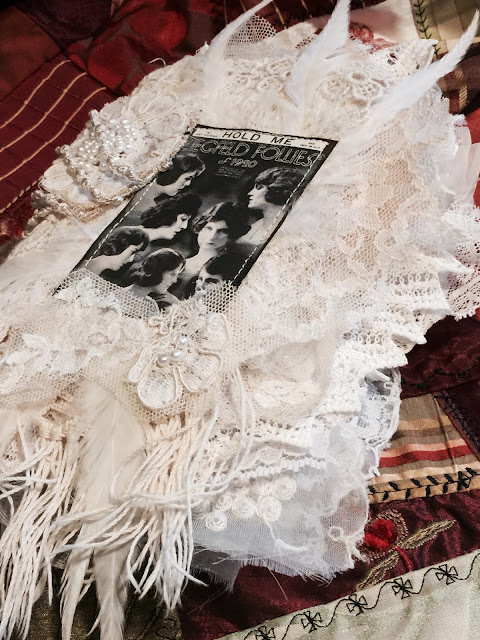 Here is another chunky lace book for you vintage lace lovers! 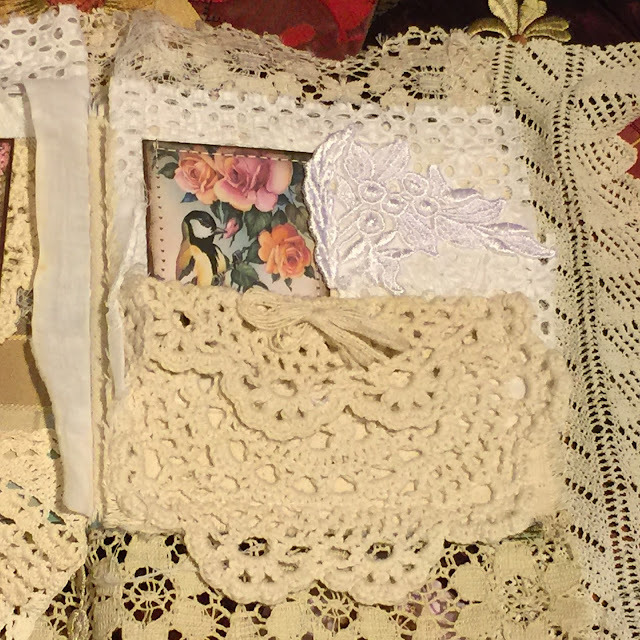 Measures right about 5x6 with oodles of antique laces extending out! 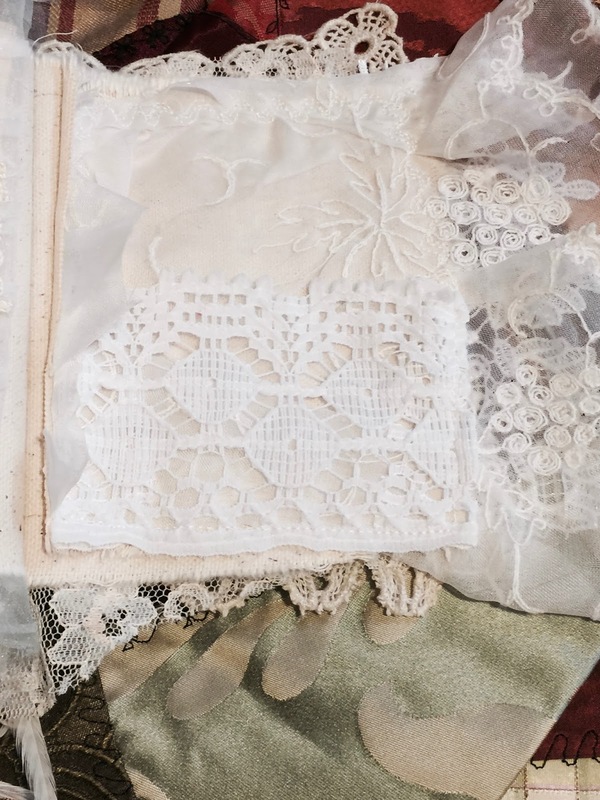 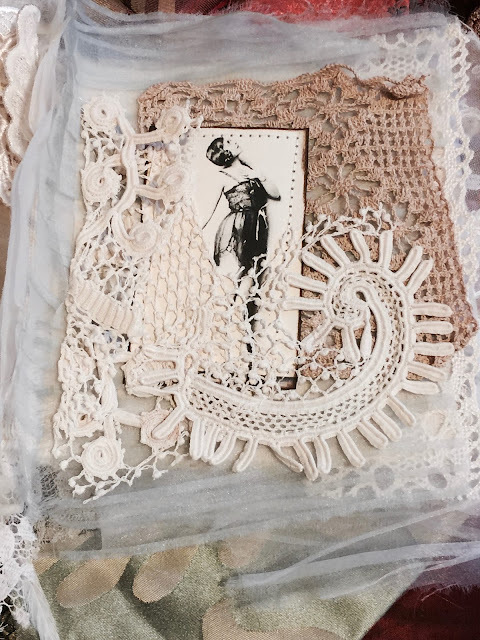 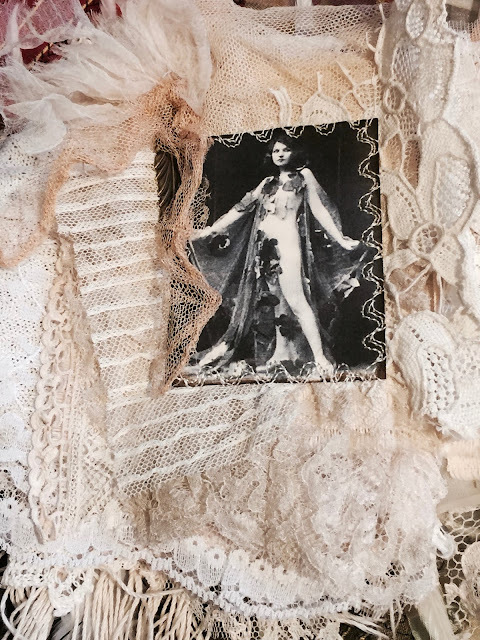 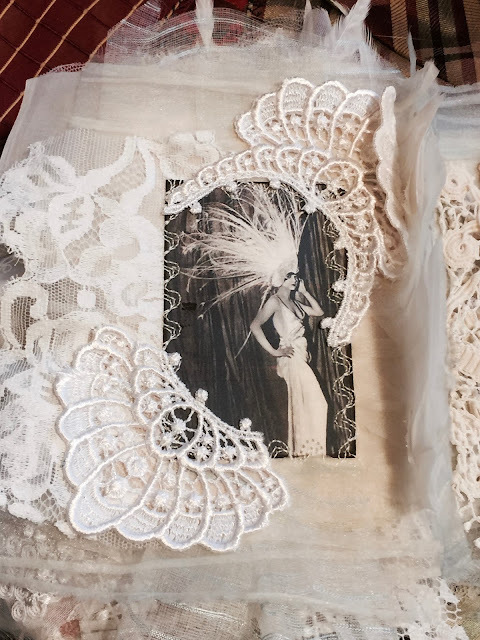 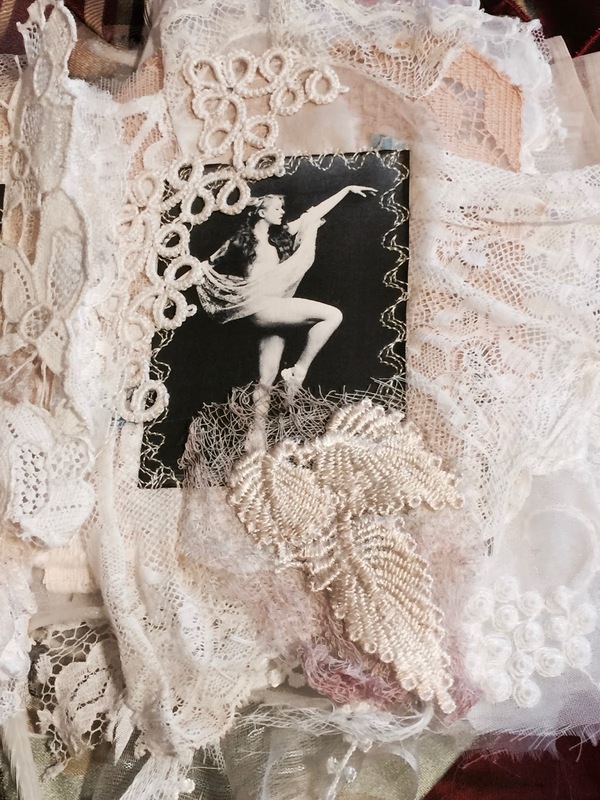 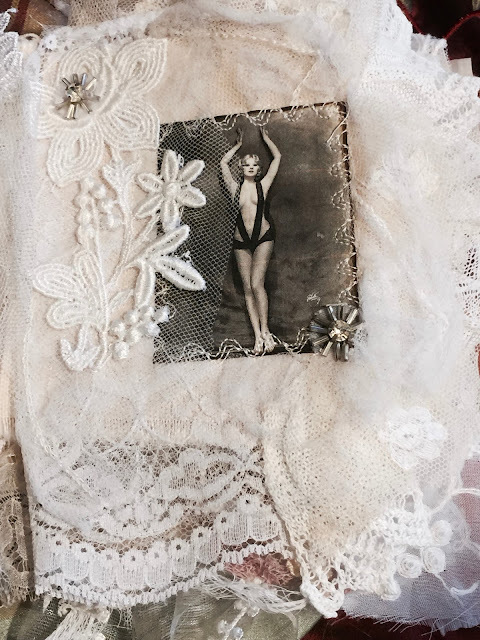 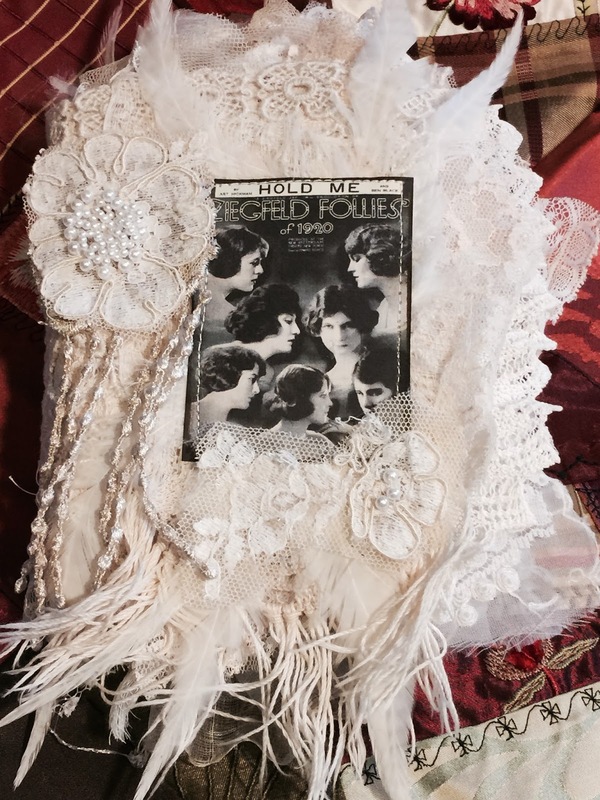 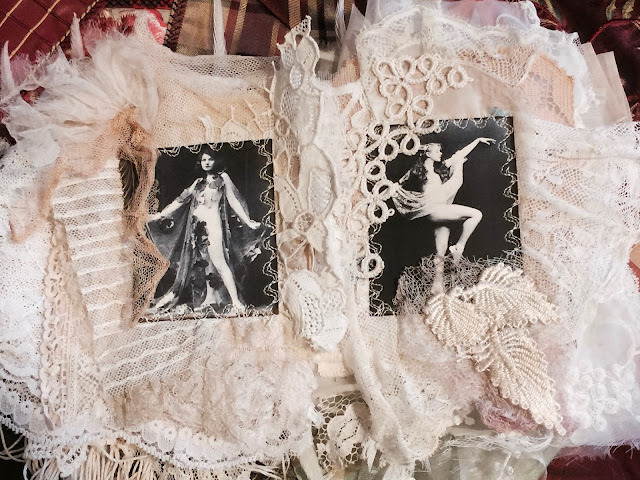 Lots and lots of vintage laces throughout this beautiful book. 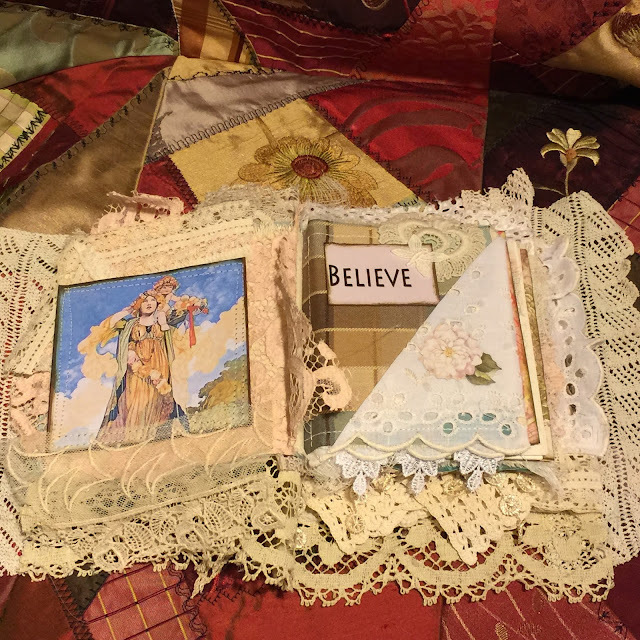 Nice pages of sweet inspirational collages! You'll find oodles of wedding laces, some quite old. 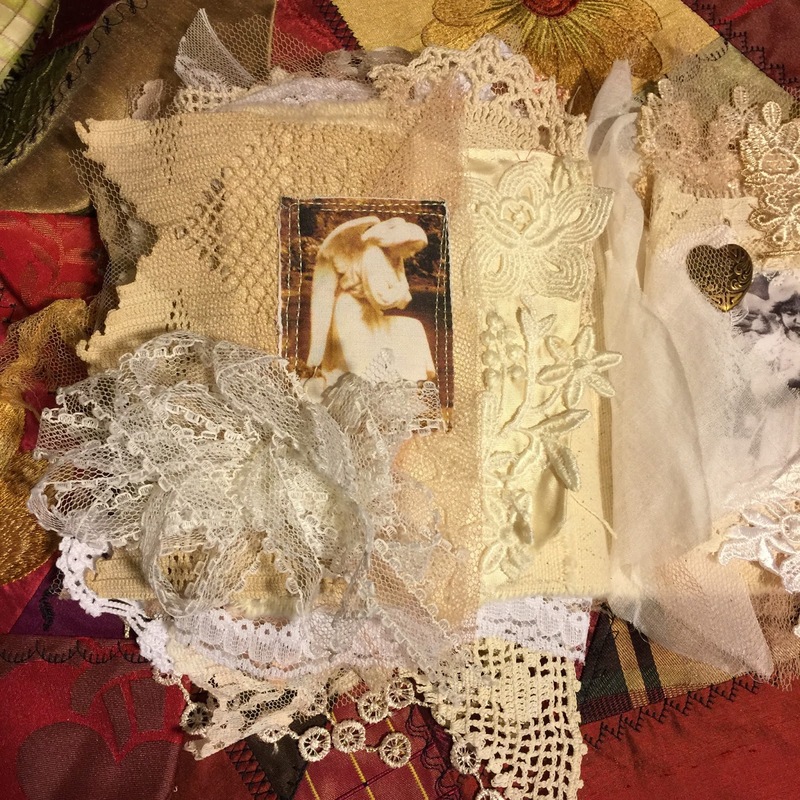 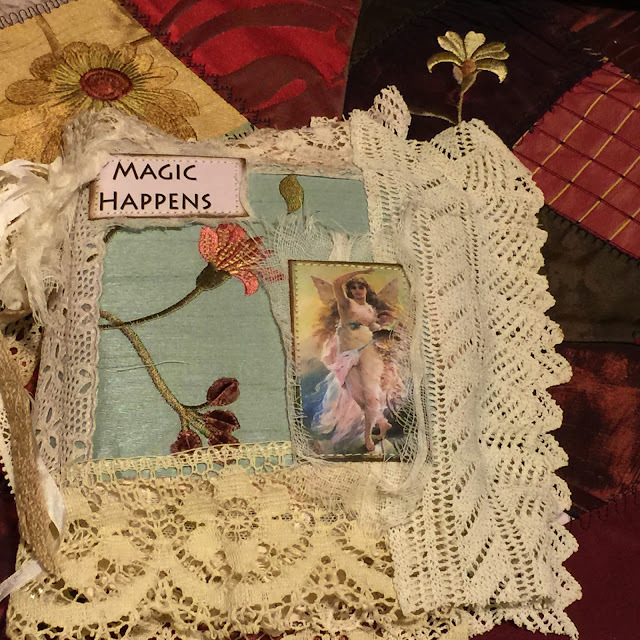 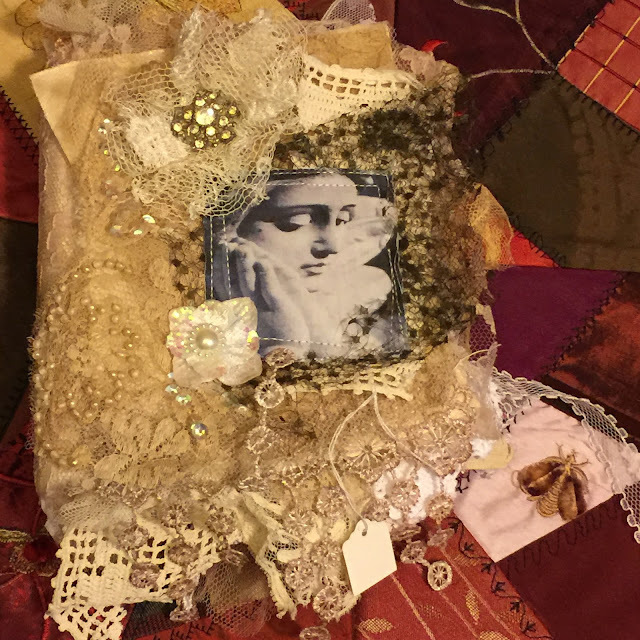 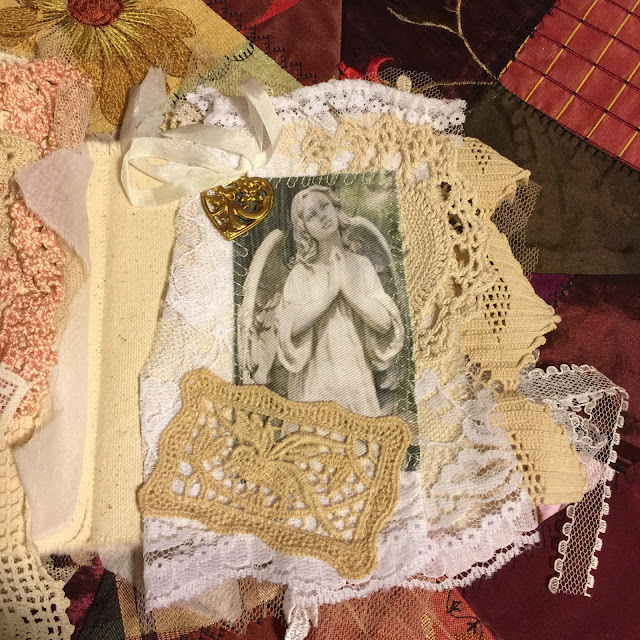 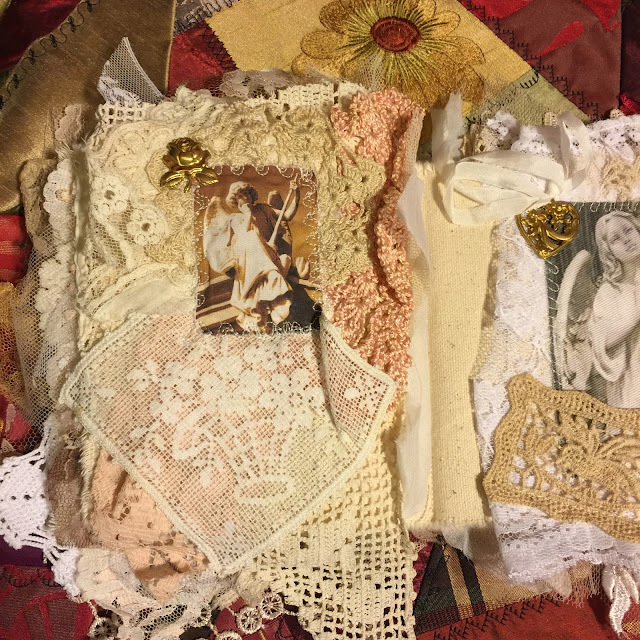 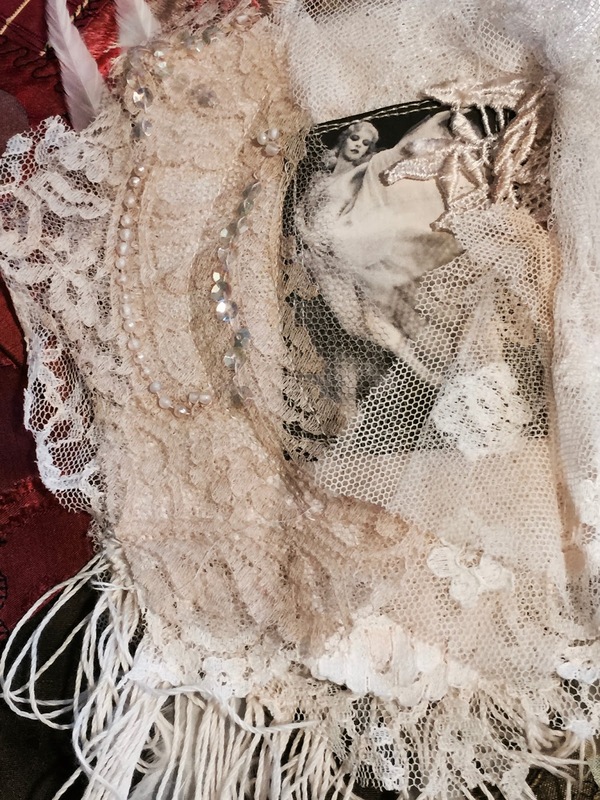 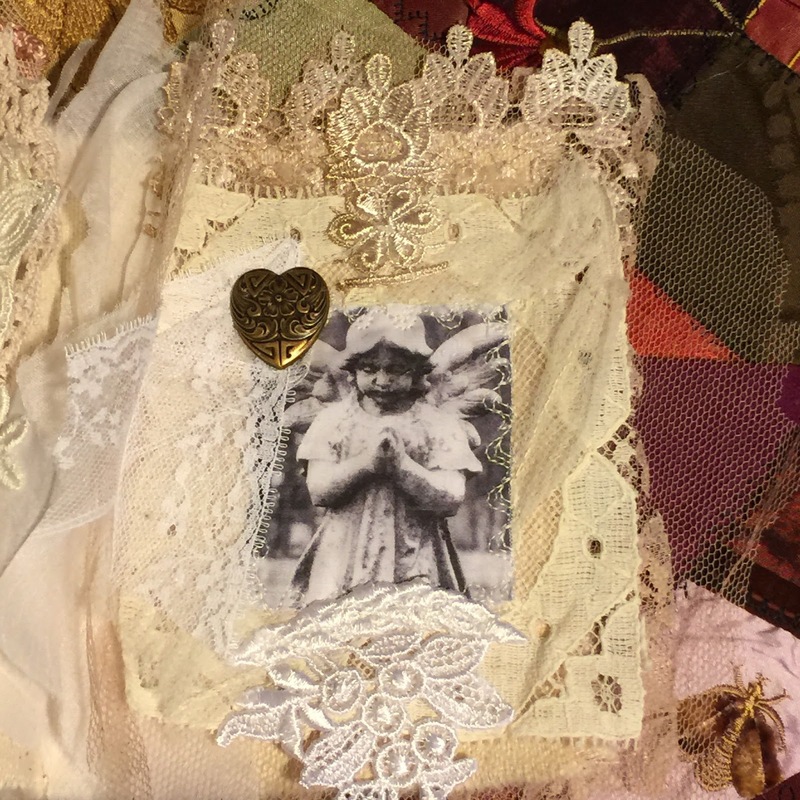 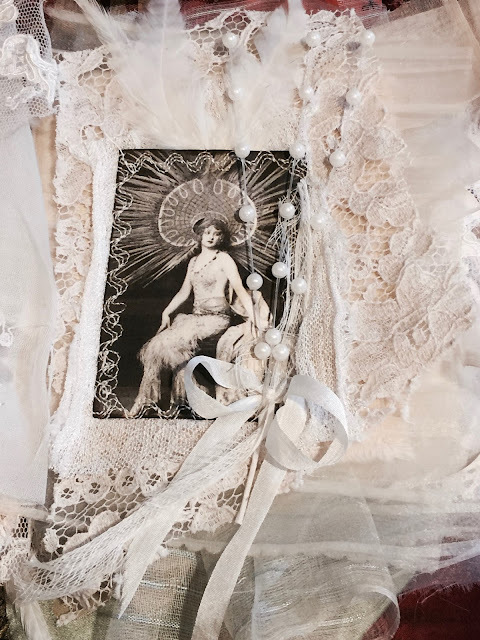 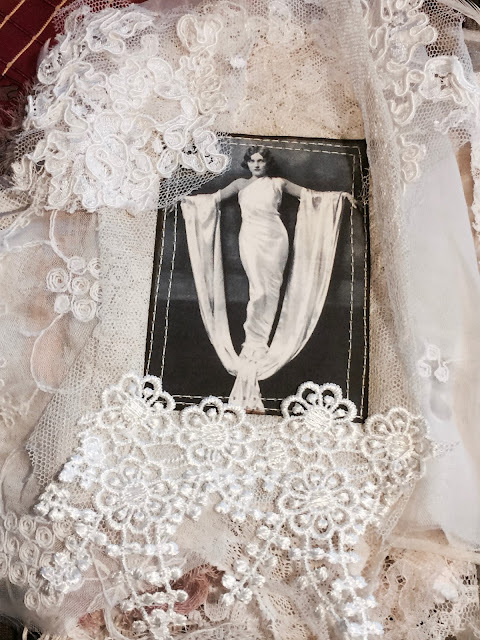 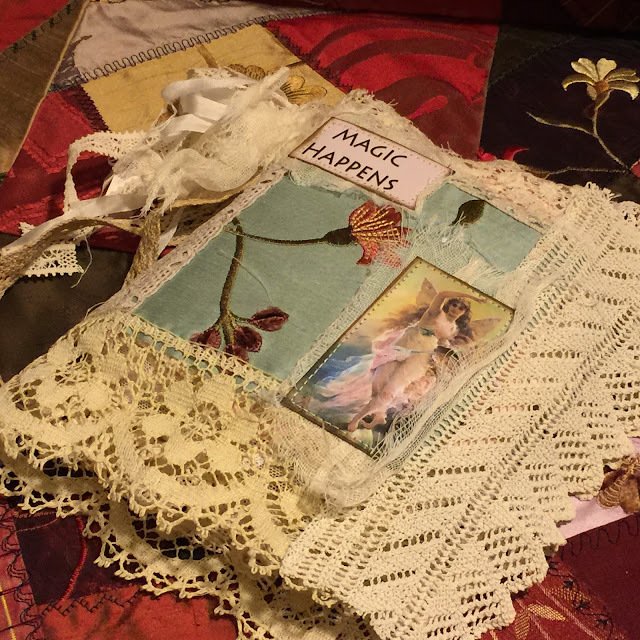 Even the sleeve from a lacy wedding dress, service as a pocket for your thoughts or memories. 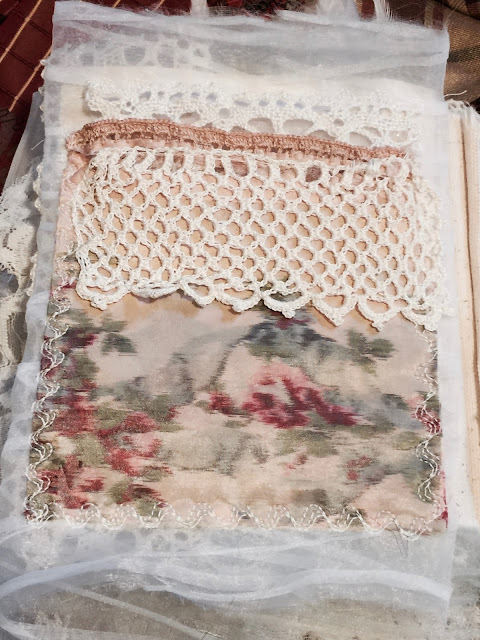 A very sweet accent to your guest room or ?? 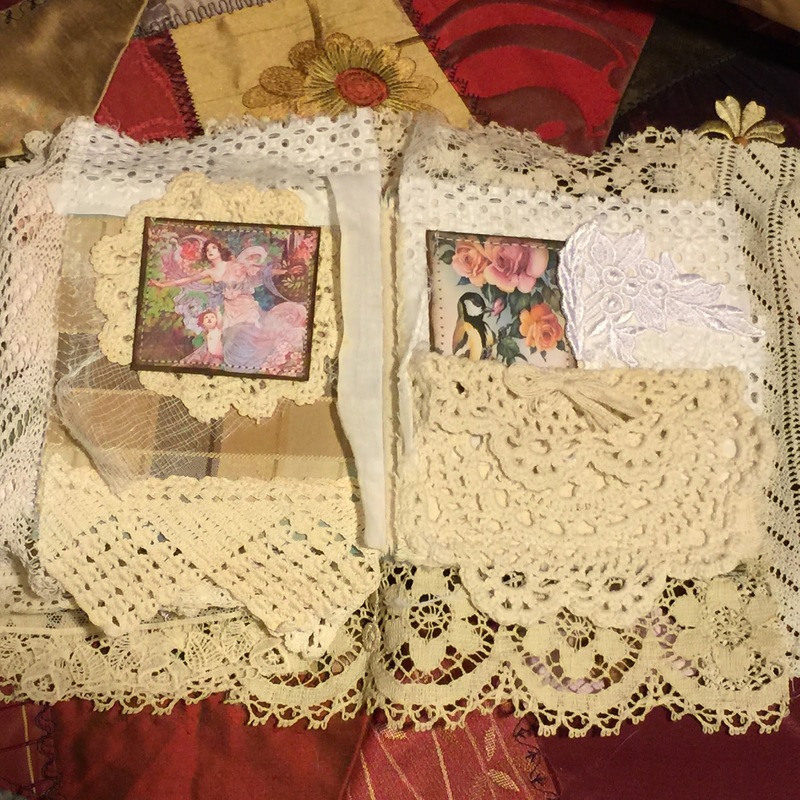 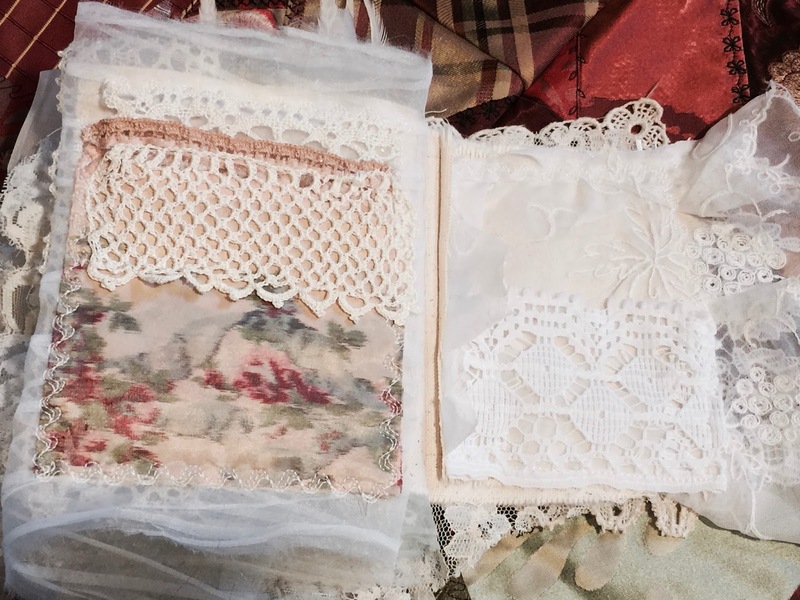 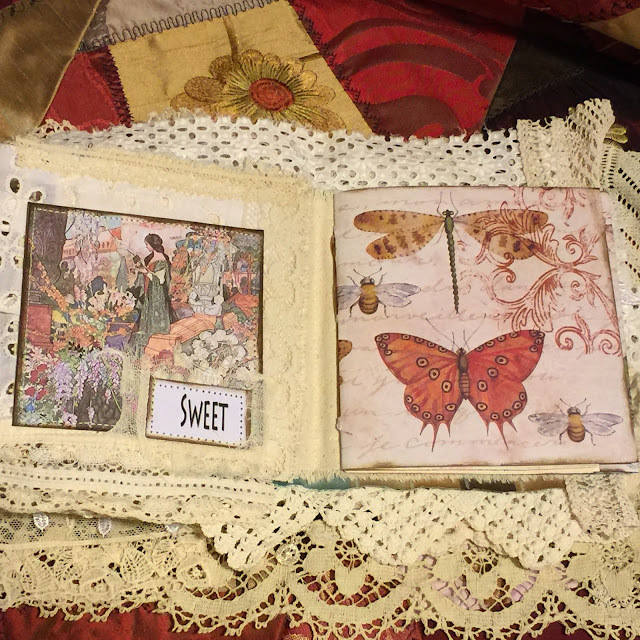 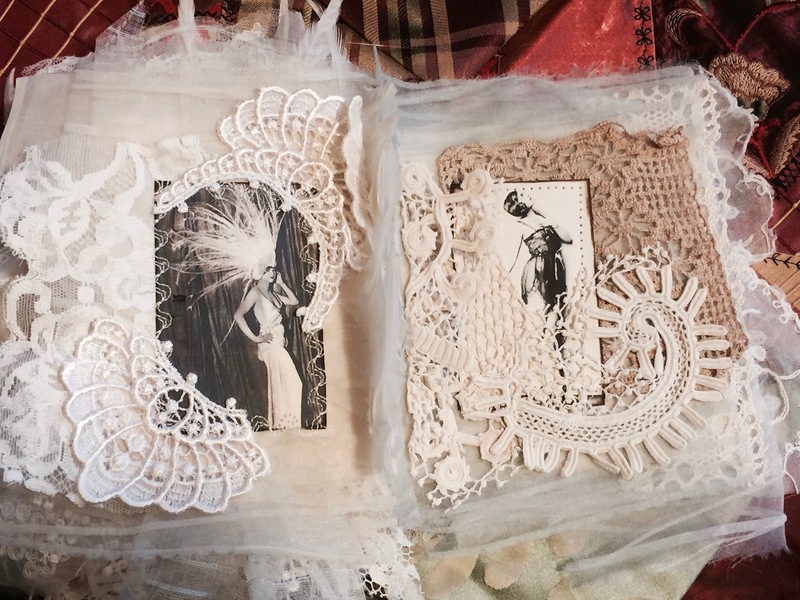 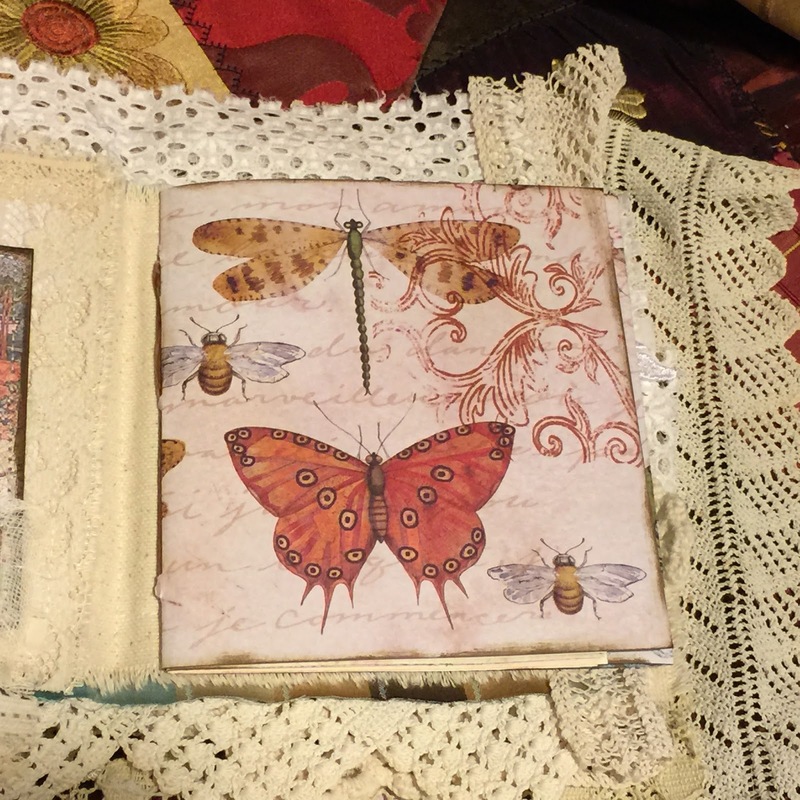 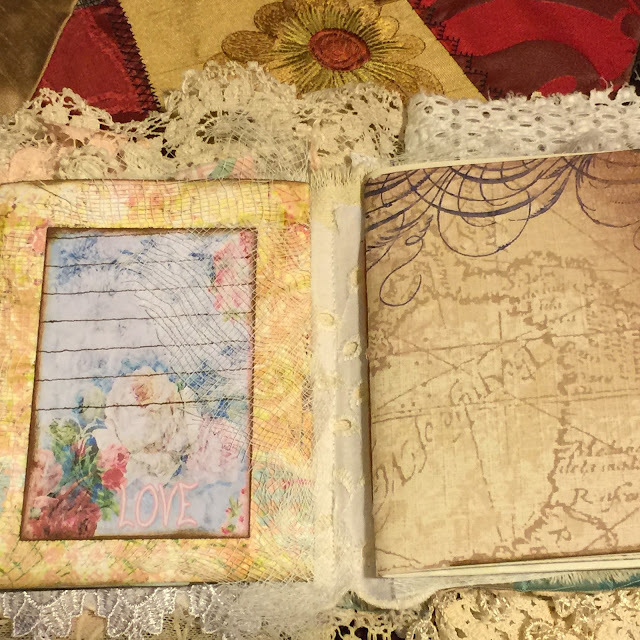 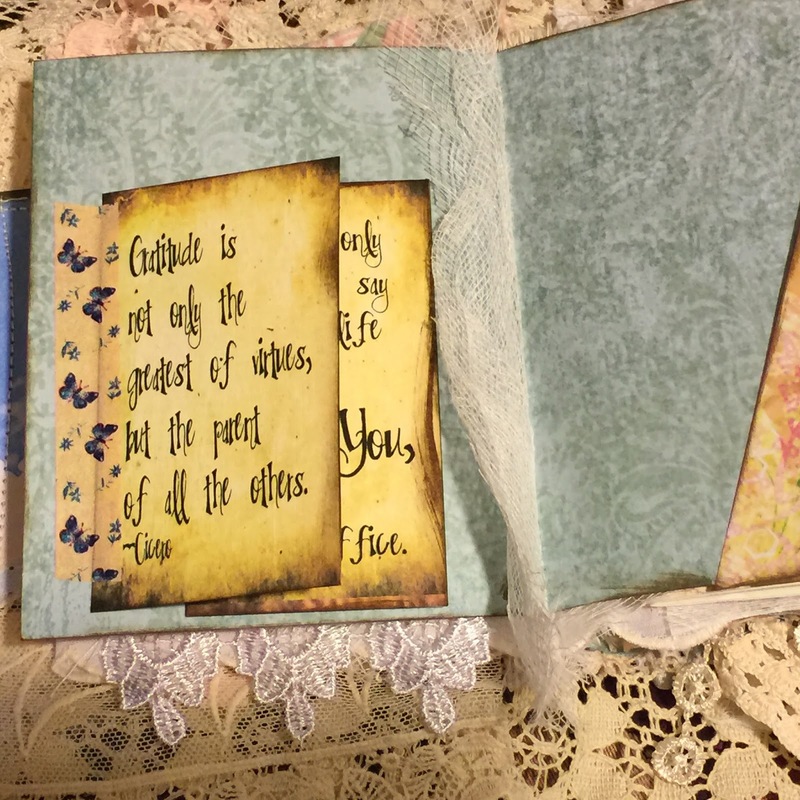 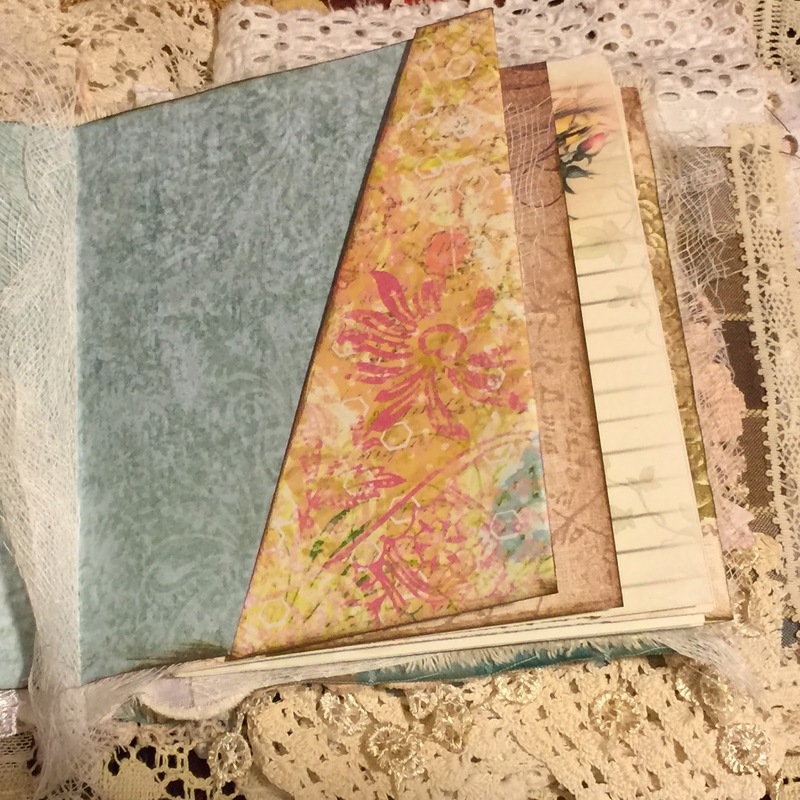 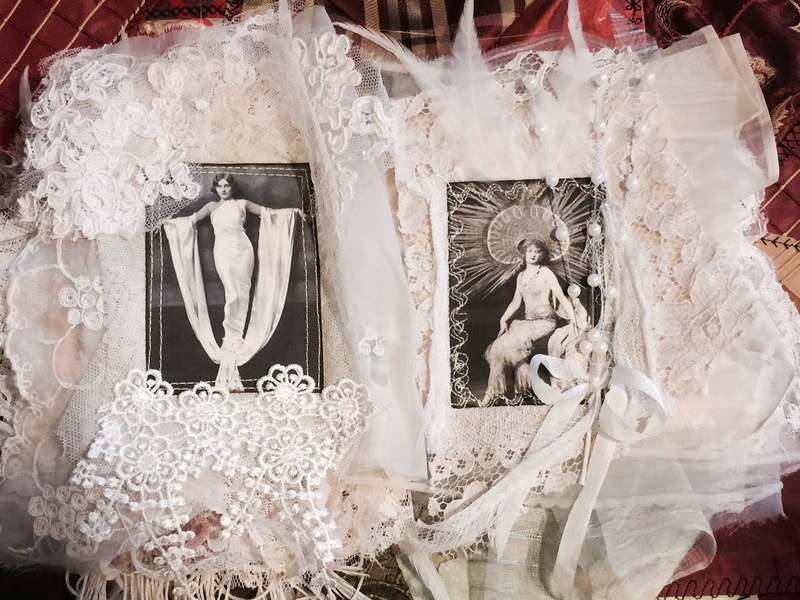 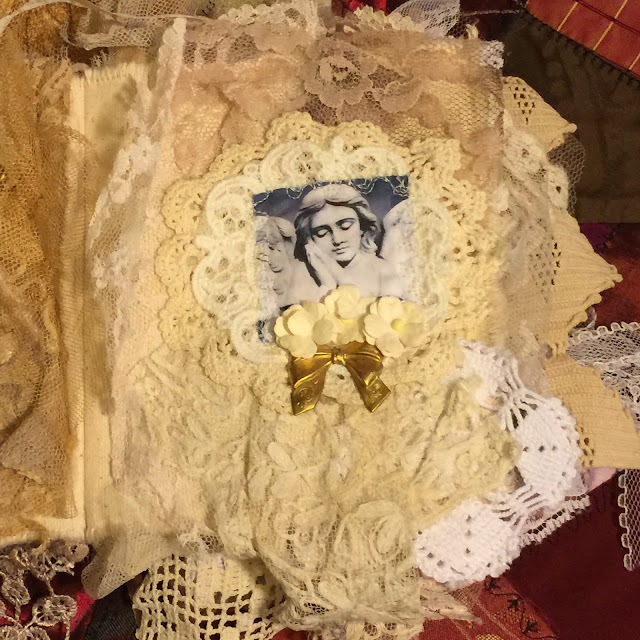 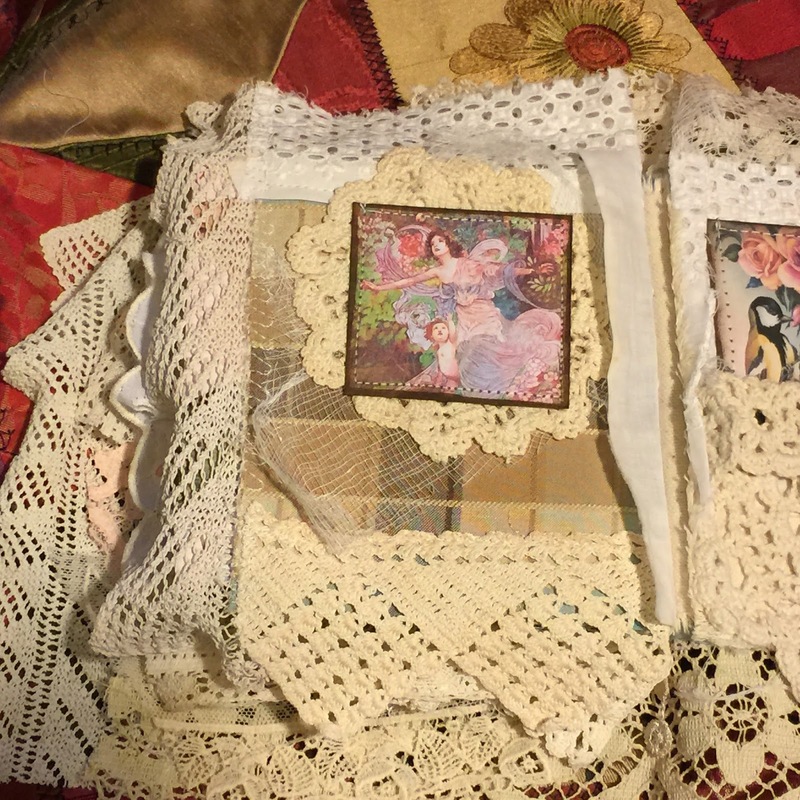 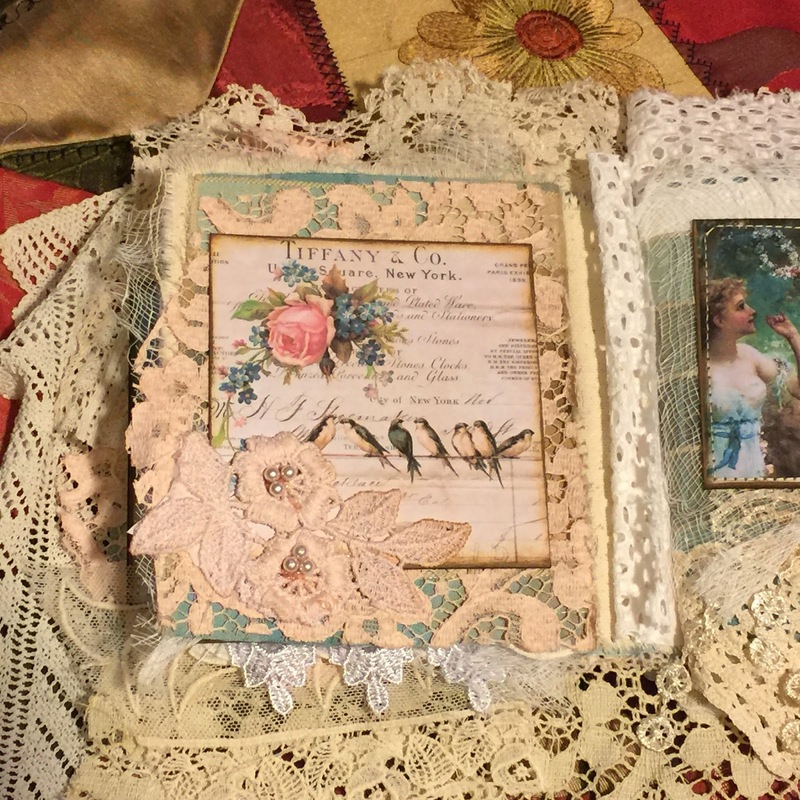 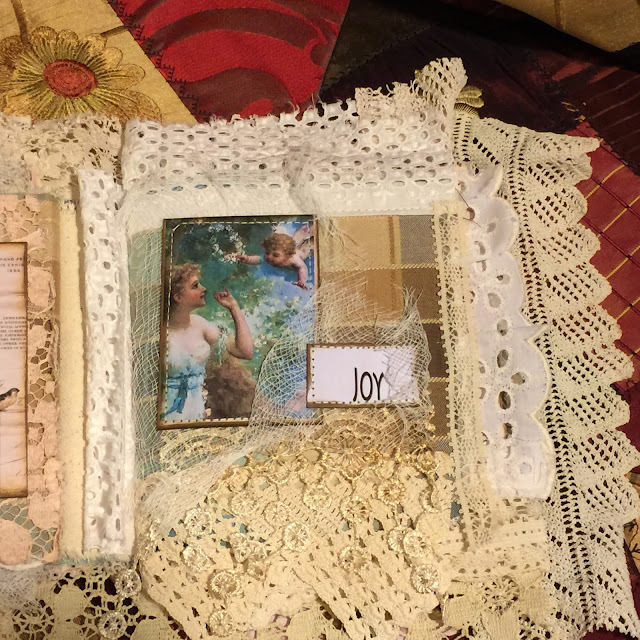 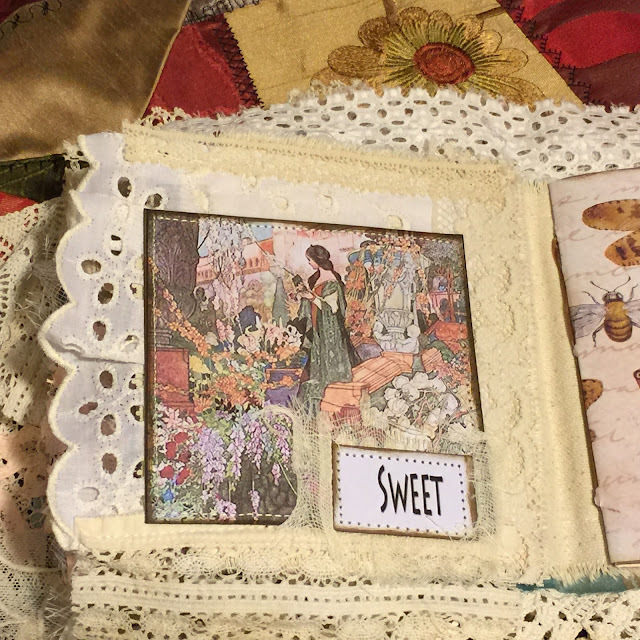 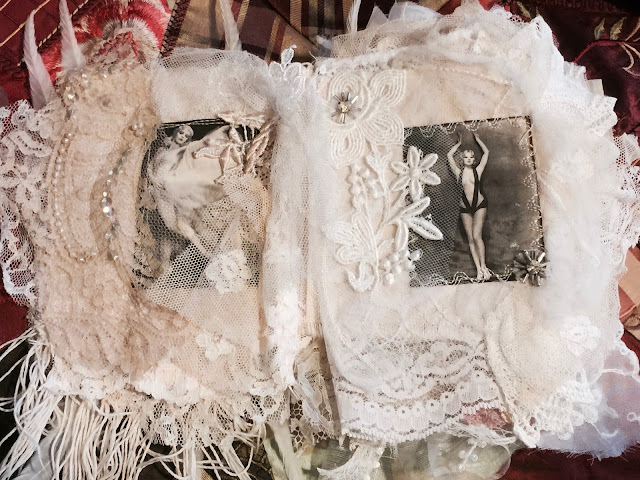 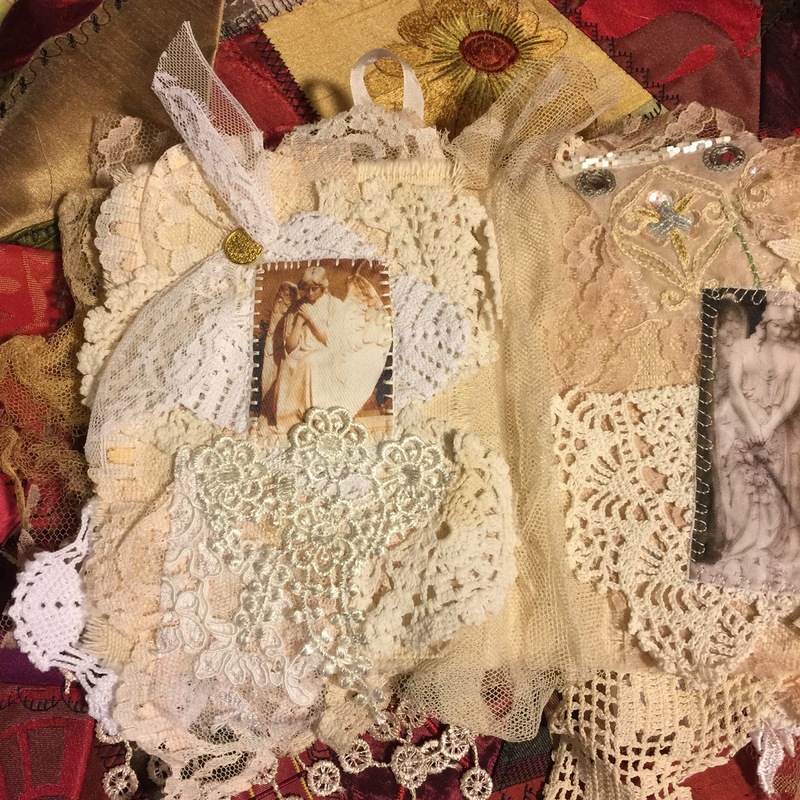 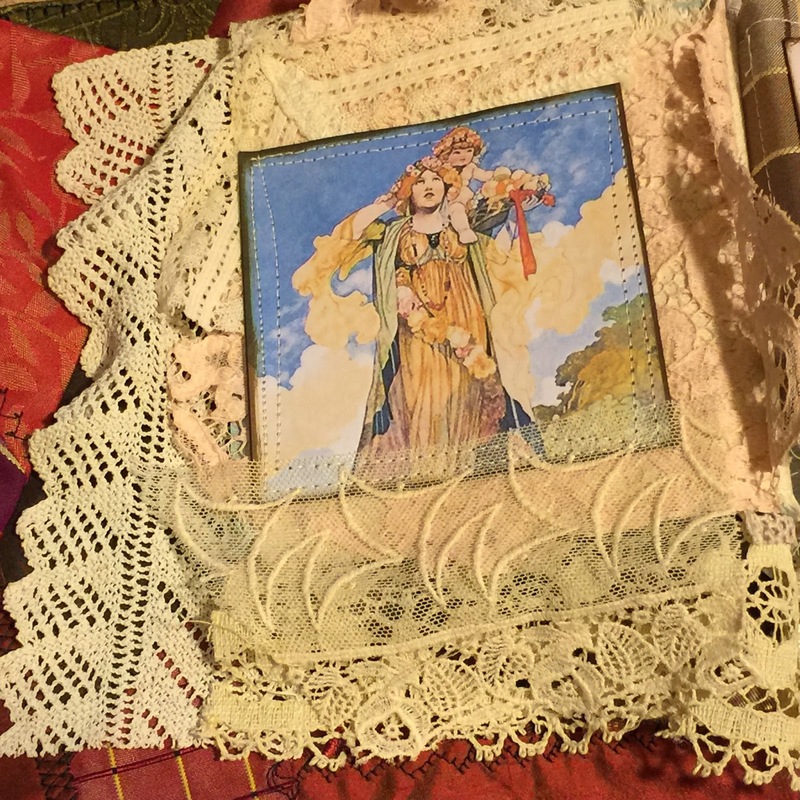 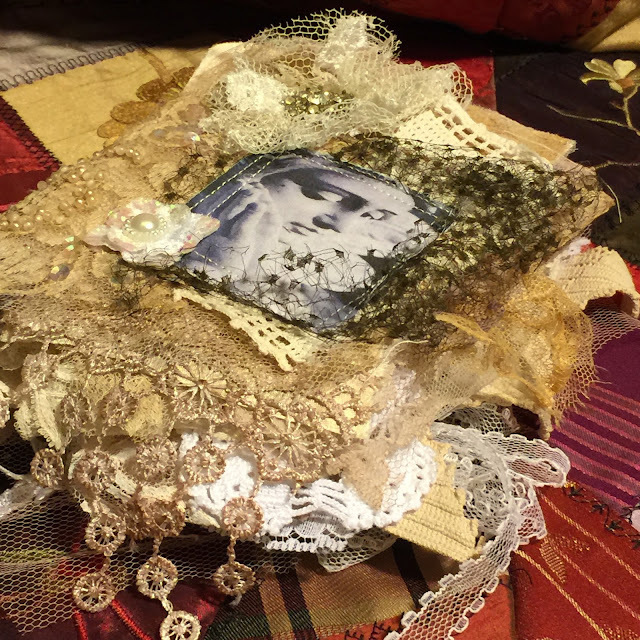 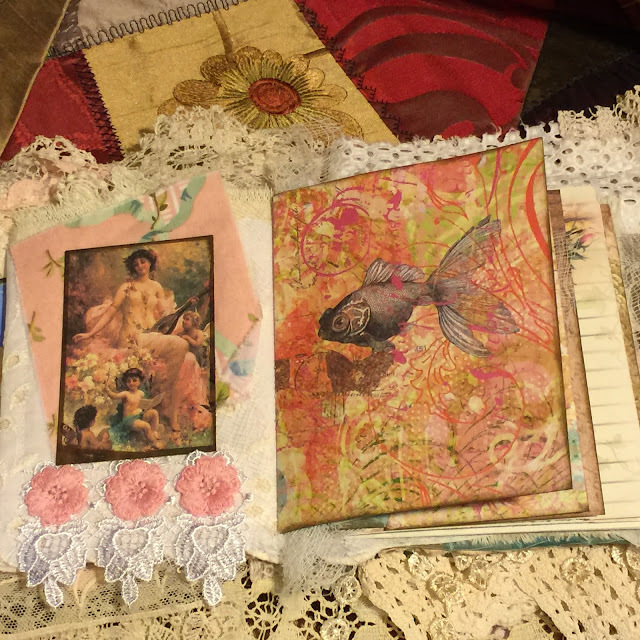 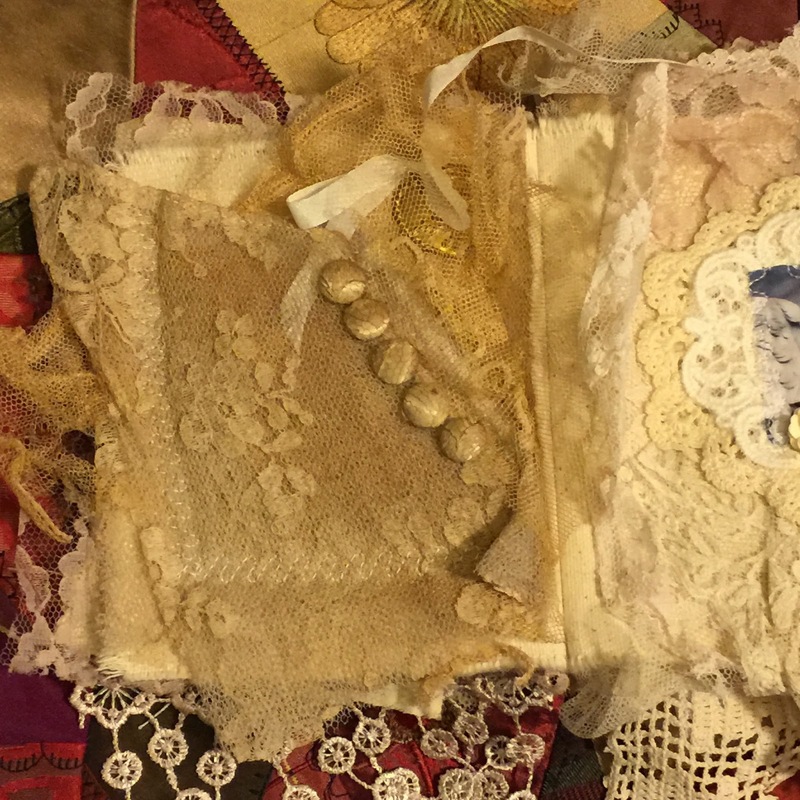 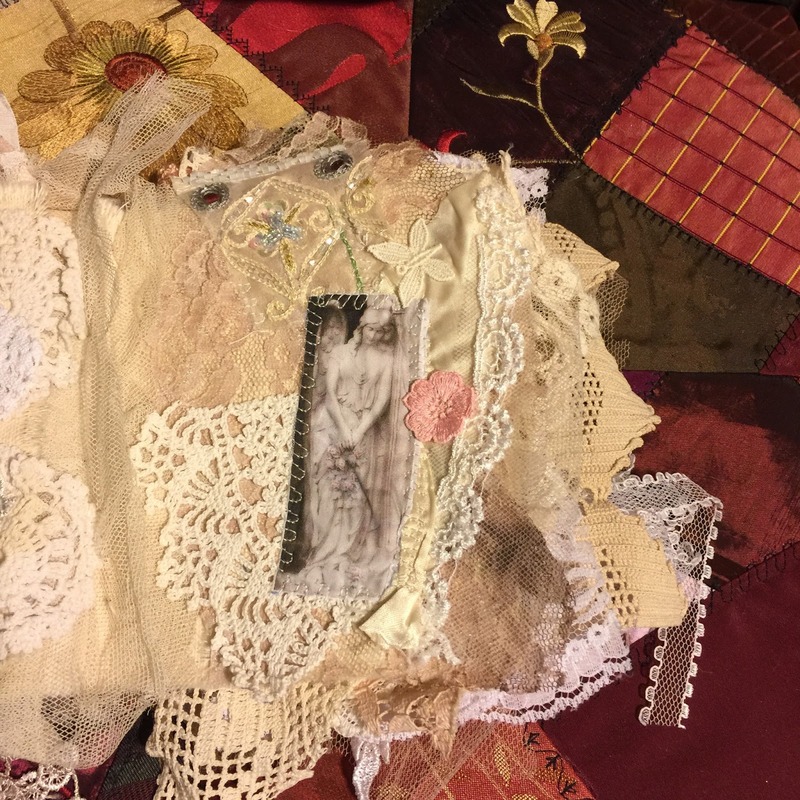 NINE decorated pages, chock full of antique laces and trims! 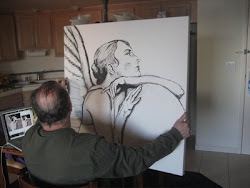 ... here are some closeup pictures! 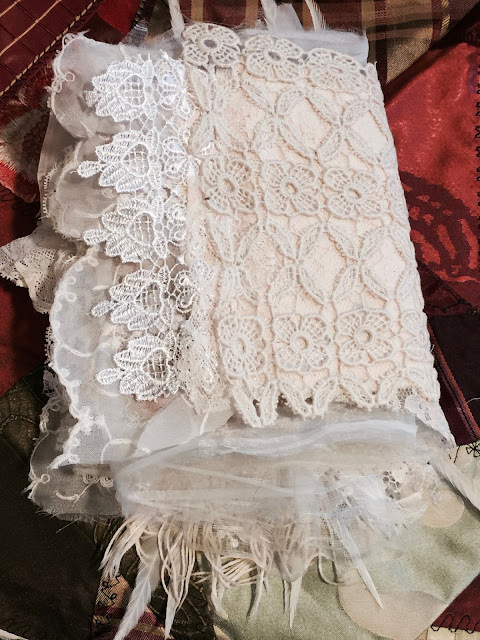 Here is the Wedding dress sleeve that creates a pocket for your treasures. 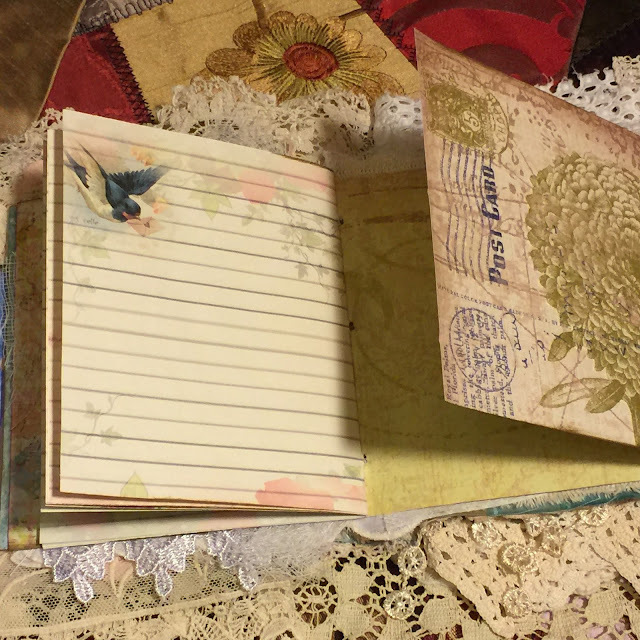 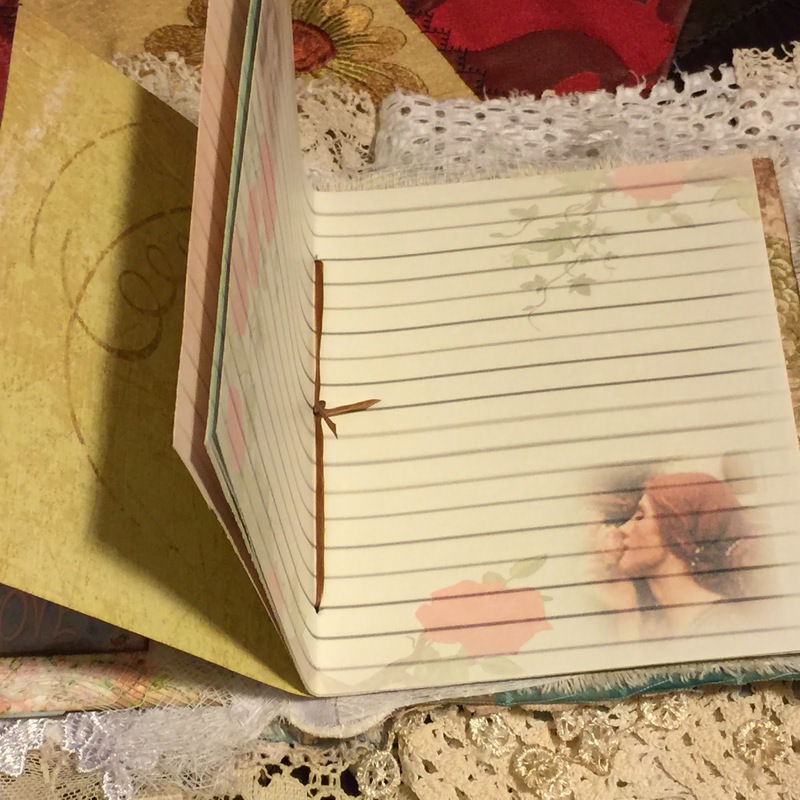 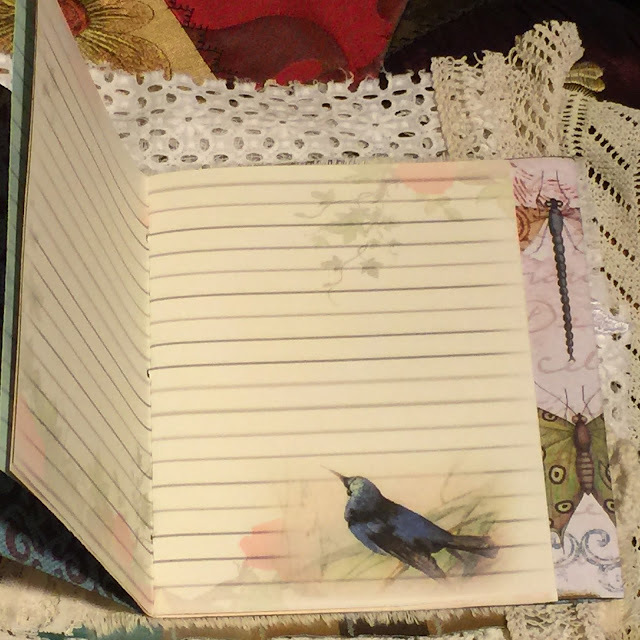 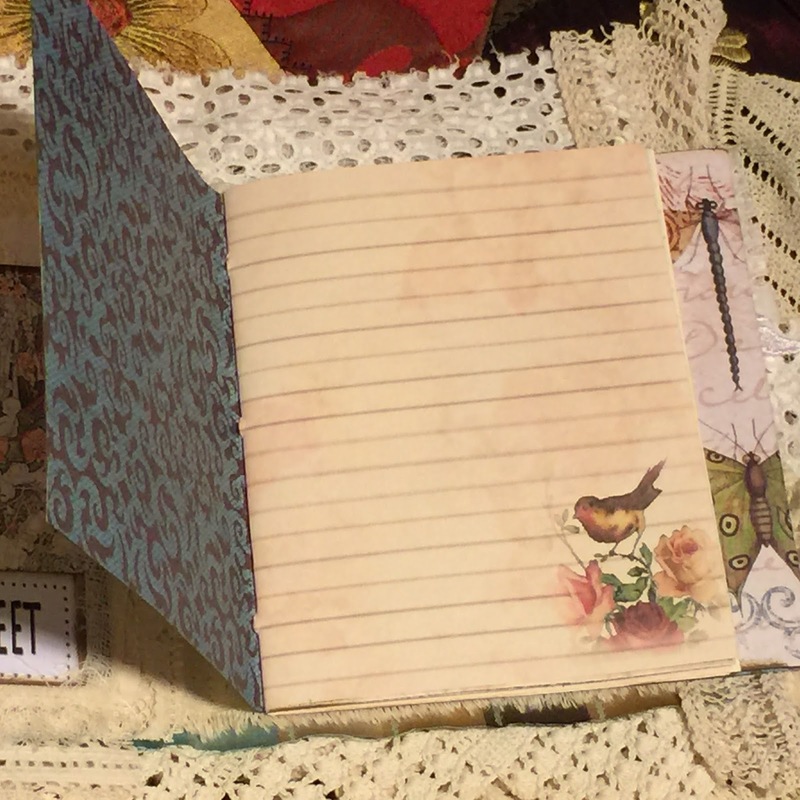 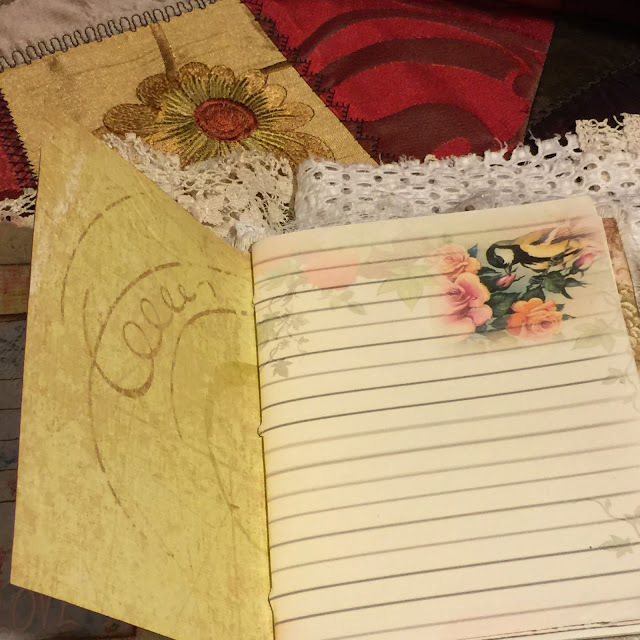 A sweet little book full of journaling opportunities! 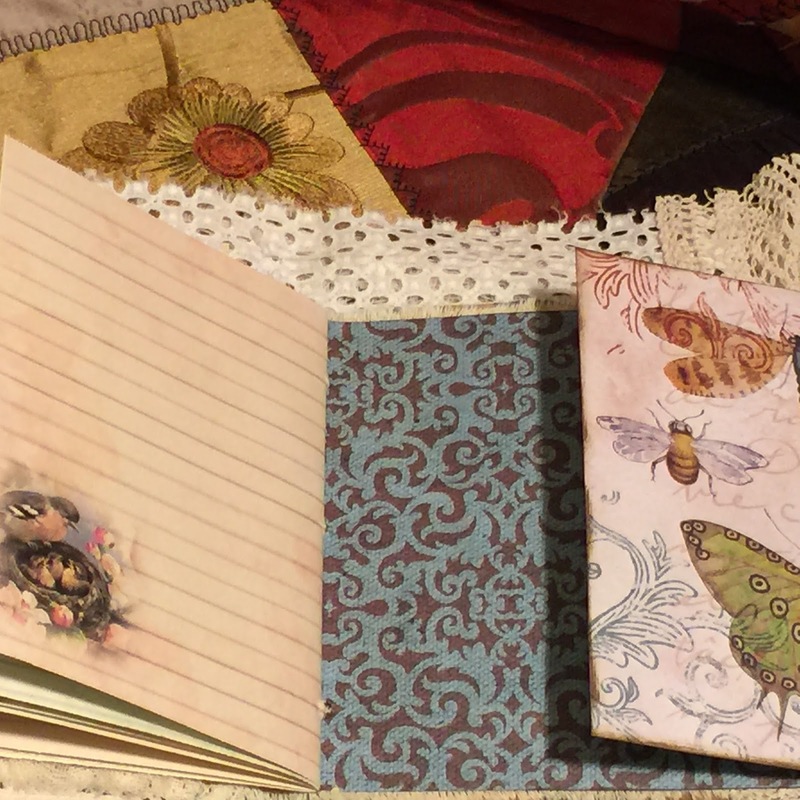 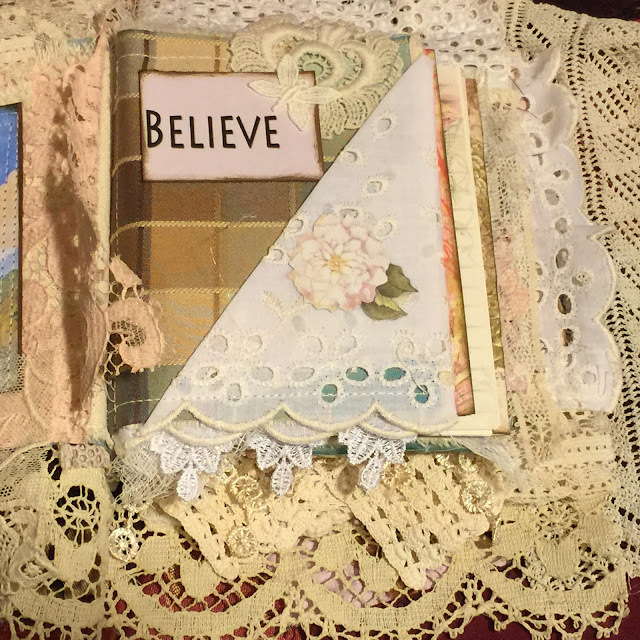 Lots of pockets, and 'many-mini' journaling pages! Measures: 7x8 with extended laces!